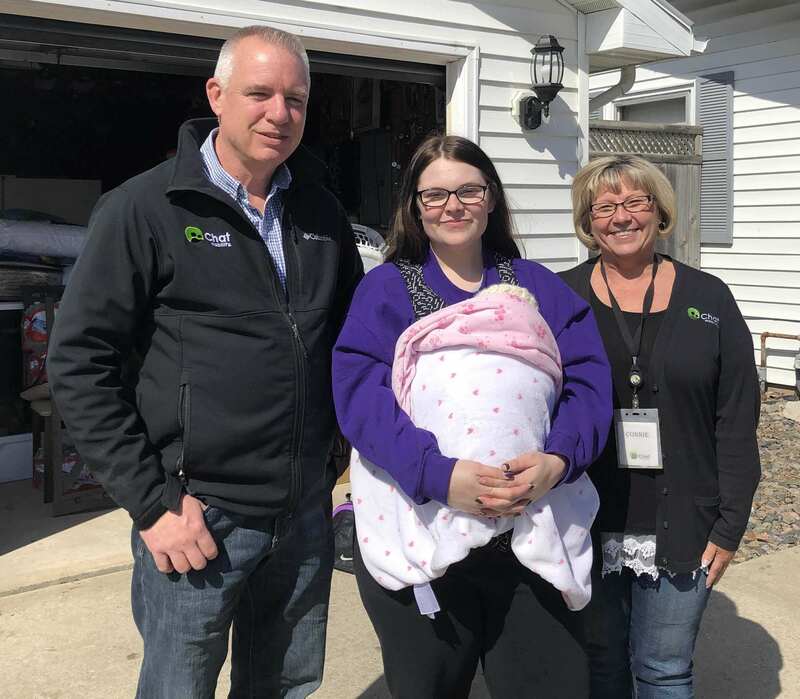 Emerson, IA—March 18, 2019— Chat Mobility, based in Emerson, Iowa, is seeing firsthand the effects of the historic flooding taking place in Iowa and the surrounding areas. One of their valued employees, Jordan Bennet, lives in Hamburg where a levee broke Sunday and waters from the Missouri River flooded the town and destroyed her home. She reached out to her friends at Chat Mobility asking for support for the Hamburg community. To support all Fremont County residents in need, Chat Mobility made a special $1,000 donation to the Fremont County Disaster Recovery fund. They also responded with gift certificates from HyVee and Walmart giving Jordan the ability to purchase food and supplies for her young daughter and family members. For more information on Chat Mobility, visit www.chatmobility.com or follow them on social media at www.facebook.com/chatmobility/or on Instagram at Chat_Mobility. Headquartered in Emerson, IA., Chat Mobility is a provider of wireless services to rural customers in southwest and south central Iowa for over twenty-five years. Chat Mobility provides its customers with innovative technology including data and mobile services, the latest wireless equipment and nationwide coverage. For more information about Chat Mobility and its products and services, visit www.chatmobility.com or call 800-944-5526.